Critical End! 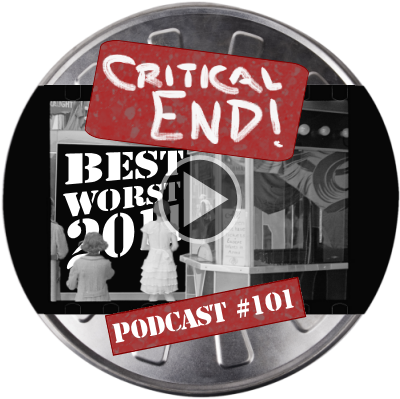 (The Podcast) #101: The Best and Worst of 2011 | Critical End! We return for our first episode of the year and our fourth annual best/worst show. REVIEWED: The highlights and lowlights of 2011. PLUS: Vampire squabbling. This entry was posted on Wednesday, February 8th, 2012 at 6:00 amand is filed under . You can follow any responses to this entry through the RSS 2.0 feed. Both comments and pings are currently closed.